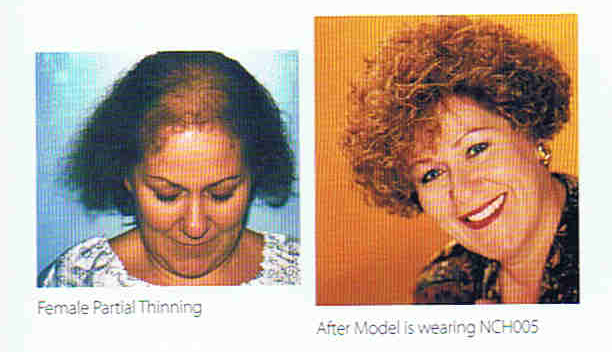 Our Salon recognizes the importance of looking great and feeling normal while recovering from chemo treatments or other illnesses than can cause extensive hair loss. For our chemotherapy clients or clients with up to 100% hair loss our Full Head Wigs and Cranial Prosthesis products are second to none in giving you the most natural hairline and the double layer monofilament base allows you to part your hair anywhere you achieve that perfect hairstyle you’ve always dreamed of. The light and airy bases of these wigs are not only extremely comfortable but they allow your head to breath which is important in helping the regrowth process of your own hair. Our wigs have a tape tab on the frontal portion that allows you to use double sided tape which provides security in holding the wig in place no matter what your lifestyle is. You no longer have to worry about your wig blowing off your head!!! That is so important for us to provide security for you in wearing one of our wigs. Feeling normal and looking great – it’s what we want for you! Our full head wigs and Cranial Prosthesis products are 100% highest quality human hair that has been specially treated to keep their color and sheen. 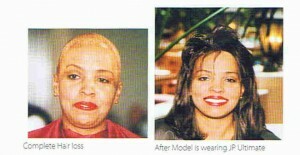 While they are 100% human hair, Shears To You does not recommend perming or coloring these wigs even by professionals. We also recommend limiting your product use of gels and hairsprays to keep the wig beautiful. Always shampoo wigs off the head holding the wig by the front and gently cleansing without excessive rubbing. Rinse well and apply conditioner combing through. Rinse conditioner and then towel dry. Comb into place and blow dry on low setting or air dry if possible. These gorgeous wigs can be cut in any shape and styled with hot rollers, curling irons, or flat irons. Always use low settings for curling irons and flat irons and NEVER GO TO BED WITH THE HAIR WET OR DAMP!! !